When the creator of the ultra-popular comic book and TV series, Robert Kirkman, launches a new comic series, you better believe there is going to be hype surrounding it. With a slew of amazing titles under his name, including Invincible, Marvel Zombies and more, it’s a sure bet that when the man from the Backwoods launches a new book, the world takes notice. 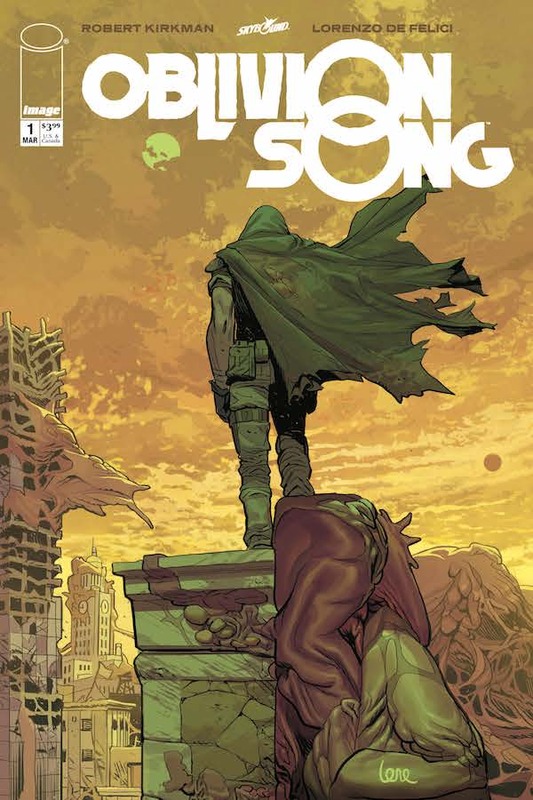 Enter Image Comic’s and Skybound’s Oblivion Song. Written by Kirkman with art by Lorenzo De Felici, the book focuses on Nathan Cole, a man on a mission to find his brother Edward, who was lost to Oblivion. Oblivion being a hellish other dimension, Nathan and his team jump from our world to theirs, bringing people back along the way. But is this Oblivion literally Hell? And if so, should he really be bringing these people back? Kirkman creates a great introduction to the world, but it just scratches the surface. We know what Nathan’s motives are, but what exactly is Oblivion? What happens to those that have been exposed to it? We see irrational behavior from those that have been saved, are they really themselves now? De Felici’s artwork is sharp and vibrant and is a good fit for a book that is heavy on the action and the monsters. The debut of Oblivion Song is a breath of fresh air, as it tackles so many issues and sets up a very difficult situation for Nathan. I enjoyed the first issue, and plan on giving the next few issues a shot as well. Kirkman is usually full of surprises, and I can’t wait to see what aces he has up his sleeve with this new series.